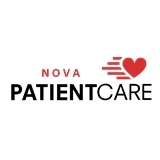 NOVA Patient Care (Falls Church) - Book Appointment Online! There are many benefits to visiting any of NOVA Patient Care locations when you are in need of medical attention. Our primary care services has walk-in convenience available in case if emergency room is not an option because you’re not really an emergency, yet you do need to see a doctor. In fact the state would prefer that you visit a clinic if your medical condition is not what doctors actually consider urgent because this frees up room for other serious patients, and you don’t have to wait for hours before you are seen by a doctor. You have no fear of not being seen by a doctor when you need urgent care, Falls Church Clinic doctors that work in our clinic have years of experience in treating most medical problems, They will be able to treat most medical conditions that are not life threatening.